Stay out in the field. Get done what needs done. Crops don’t wait, especially for oil changes. Do more in the field faster using the best bypass oil filter in agriculture. 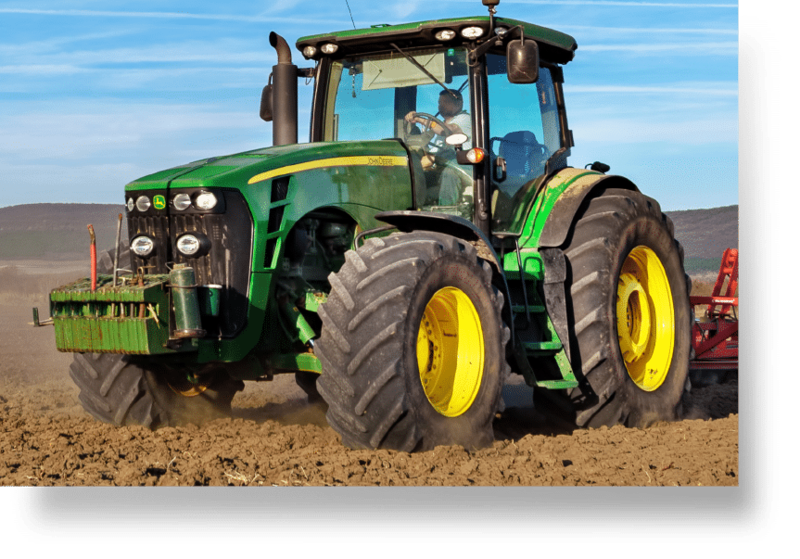 Currently, your farm equipment needs an oil change every 250 hours. Factor in time out of the field and cost of labor plus oil replacement – you’re burning daylight and profit. If you’re going to make this season a success, you’ve got to have that equipment up and running, every day. The FS-2500 bypass oil filter gives you more time in the field. Keep your tractors, combines and pumps running for 1500 hours. Install the FS-2500, the world’s most efficient and compact bypass oil filter, on your farm equipment and keep them 75 days in the field straight without changing oil. When time comes for an oil change, it’s done on site in about 25 minutes with the FS-2500. You’ve got to protect your investment in your crops and equipment, not spend money replacing your engines or equipment at hundreds of thousands of dollars. The FS-2500 keeps your engine oil so clean that you change the filter every 1500 hours, not necessarily the oil. Send it in for testing. You’ll know when it actually requires draining. The numbers don’t lie. 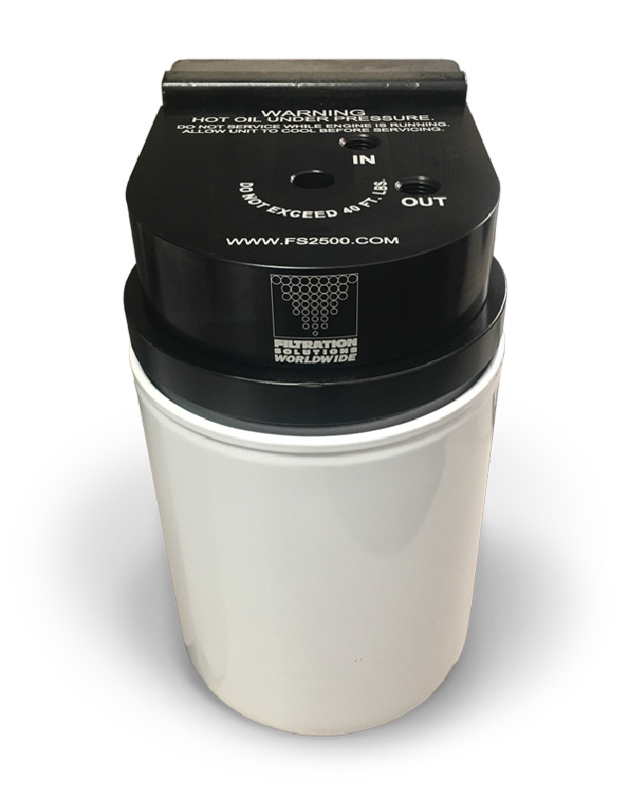 The FS-2500 bypass oil filter offers 98% efficiency at 1 micron. Regular oil filters capture 30 to 40 microns, but it’s the soot and grime at 2 to 7 microns that cause engine damage. Independent test results show the oil tested after a drain using the FS-2500 is chemically identical to when it went into the engine. In other words, it’s like virgin oil. You can put those numbers in your wallet. Plus, farmland isn’t the only thing you’ll pass down; your equipment is your legacy too.